It’s relatively easy these days to find point examples of social CRM in action across marketing, sales or customer service; but few organisations have a holistic Social CRM strategy in place. Paul Greenberg recently wrote a case study on Proctor & Gamble, who seem to come the closest (despite not calling what they do “Social CRM”). 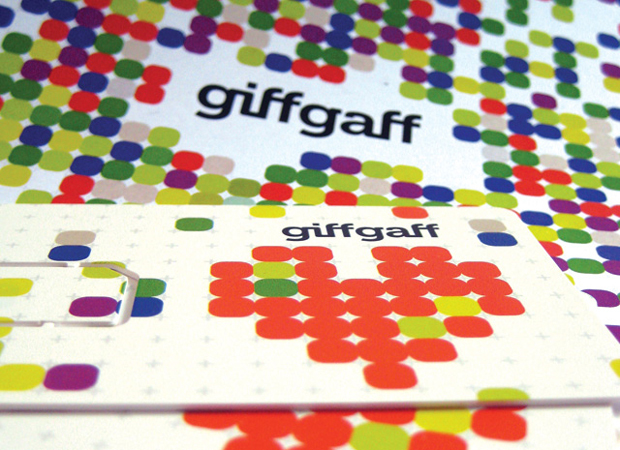 One of the best case studies I’ve come across is a UK-based Mobile Virtual Network Operator (MVNO) called GiffGaff. I was lucky enough to recently meet some of their staff who talked me through the business model. Product co-creation - right from set-up GiffGaff engaged their target market in 2 way dialogue, asking potential customers and early adopters to decide on how best to structure their tariffs. Similar to Dell IdeaStorm, GiffGaff have continued their Ideas page and at the point of writing they have implemented 112 ideas direct from their community. Community support – the GiffGaff community is perhaps best shown within customer service. All of GiffGaff’s customer service is online. They pro-actively push information out to their notice boards page e.g. service issues. They publish customer-generated tips and tricks and FAQs. They also make extensive use of their community forum for peer to peer support (supported by intervention and moderation by GiffGaff employees when required).The community has radically cut customer support costs compared to the traditional contact centre-centric model. GiffGaff estimated that if O2 could replicate the model with just 25% of their customers participating, they could save c£20m per year. Payback Scheme - Perhaps the most innovative aspect of the community forum is that users are incentivised to participate through the use of a payback scheme. The payback scheme rewards GiffGaff members for helping GiffGaff out with Kudos points which can either be redeemed for pre-pay credit, or donated to charity (of course a charity of the community’s choice!). Social Marketing – GiffGaff’s above the line marketing is minimal for a Telco company. Instead they prefer their customers to spread the word on their behalf. Again they use Kudos points as an incentive - customer’s get 50 points each time they e-mail a friend or 500 points for each SIM card they send to a friend that is activated (where 1 point = 1p). That’s not a bad cost of acquisition and advocacy generates 25% of new customer connections. 50% of customer questions are answered via the community (as opposed to online self service or GiffGaff employee moderation). The average response time for any question posted in the forum (24x7) is under 3 minutes and 95% of all questions are answered within an hour. I suspect most Telco call centre customers would still be navigating an IVR after 3 minutes, let along speaking to an agent or having their problem resolved! GiffGaff‘s NPS score is 75 - way above the industry average and approaching that of Google or Apple. They publish their customer satisfaction scores here. GiffGaff have found that the traditional 90-9-1 model of participation (See Michael Wu’s blog for an explanation) has changed with their rewards system. They estimate that they have a 1-25-74 model i.e. a much higher percentage of occasional forum users. GiffGaff found that their top ten super-users spend an average of 9.5 hours per day on the community site. Some super users have gone to extreme lengths to support GiffGaff; stepping in to quash negative complaints and building their own status badges for the forum. GiffGaff’s customers even built them an iPhone app. Because of the exceptional levels of support within the community, GiffGaff have also found that some users have started to donate their points back to the super-users who have helped out most within the forum. Now clearly as a start-up, GiffGaff have some unique advantages. They do not have an existing large and diverse customer base or existing investments in call centres. They can afford to target a very specific niche of customers who are happy for their relationship to be conducted entirely online. However, that’s certainly not to say that traditional contact centre-centric companies cannot learn anything from the GiffGaff model. Disclaimed and disclosure: I have no affiliation with GiffGaff, either as a customer or as a client. They have not paid me for writing this article (or given me kudos points!). I also recently had the pleasure of meeting one of the GiffGaff employees when he was presenting in The Netherlands. And I think GiffGaff, maybe even more than P&G, has taken a refreshing approach towards Customer Relationships, which is fully in line with my view of what Social CRM should be about. I'll bring my (additional) thoughts on this to the paper in a blog-post later this week. Thx for sharing this! I hope more will follow. Thanks Wim - I look forward to the follow up post! A little off-topic, but I wonder if the GiffGaff folks are sci-fi geeks like me. Iain Bank's novel, The Algebraist, has in it a species called "Dwellers" who live for "kudos," which is the closest thing to money they have. I just happen to be reading it right now ... probably a coincidence! Quick note: I think you don't need the apostrophe in "customers" in your headline. Thanks Eric - duly amended! "Kudos" actually came from Lithium who GiffGaff use for their community platform - there may well be someone at Lithium who's read The Algebraist! That's very funny about Kudos. I am responsible as much as anyone for the name. My wife is a huge Iain Banks fan, but I've never read him. Hi Eric, I work at giffgaff and can safely say that more than a few of us could be classed as sci-fi geeks :). Haven't read The Algebraist myself but I'd bet that @vincentboon our Head of Community has. Thanks for sharing the Giffgaff story, Laurence. I had heard quite a bit about them from Lithium (who is also the vendor for the Community I work on, Verizon Residential), and it was nice to see this write-up all in one spot. We are also using the Ideas platform to co-create with Verizon Residential customers, which our forums members really love. We also use Kudos and have super-users that are leading the way in answering peer to peer questions. It is great to see communities such as Giffgaff's getting more attention in this new world of social media and customer service. I look forward to hearing more examples from you! Amazing customer service from Flightcentre!